Our President, Stanley Khoza, made a special visit to Gauteng this week, to engage with members at the West Rand Municipality yesterday. Municipal employees have not been paid salaries and third-party benefit contributions have been disrupted as a direct result of its dire financial situation. The West Rand Municipality invested approximately R70 million with the now-defunct VBS Mutual Bank and workers are bearing the brunt of this mismanagement and poor financial regulation. IMATU has been advised that the West Rand Municipality has been placed under provincial administration. 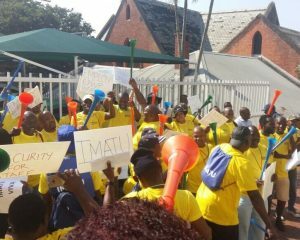 While IMATU has been assured by municipal management that salaries will be paid, the union must plan for all eventualities and always in the best interest of its members. The Independent Municipal and Allied Workers Union (IMATU) will oppose the Section 189A notice lodged by the Inkosi Langalibalele Municipality last week. “The Municipality currently employs 598 employees, but intends to retrench 248 of these employees next year. This is just the latest attempt by the Inkosi Langalibalele Municipality to reduce expenditure by downsizing municipal staff as opposed to addressing the real problem of poor financial management. The municipality was established in 2016 after the amalgamation of the Imbabazane and uMtshezi local municipalities. Despite its fairly new establishment, the municipality was placed under Administration by the Department of Cooperative Governance and Traditional Affairs (COGTA) in 2017 and its financial woes have only gotten worse. 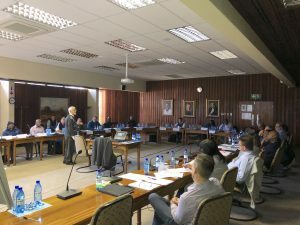 Municipal management should be focused on addressing their unsustainable financial practices instead of attempting to retrench half their workforce, which will directly affect service,” explained eThekwini Regional Manager, Cathi Botes. In July 2018, the Municipality sought to unilaterally adjust and deduct employees’ salaries. 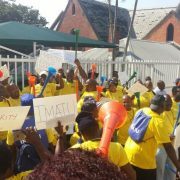 Upon hearing of this intended action, IMATU immediately wrote to the acting municipal manager and advised that an urgent application would be launched to prevent the proposed contravened the provisions of the Basic Conditions of Employment Act. As a result of IMATU’s intervention, no undue adjustments or deductions were made to a single workers salary. 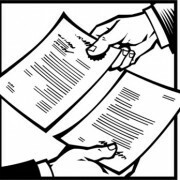 In September 2018 the Municipality then requested an exemption from the rightful implementation of the Salary and Wage Collective Agreement that came in to effect from 1 July 2018. The Municipality claimed that it was not able to pay any annual increases to employees’ salaries. IMATU again filled apposing papers and the Municipality withdrew the application the following month and affected payments to employees, with retrospective effect. “Municipalities are constitutionally mandated to provide services to communities in a sustainable manner. The municipal workforce is pivotal in ensuring the provision of these services and the salaries of workers must be provided for in any municipality’s budget. In their Section 189A Notice the Municipality outlines the need for restructuring and retrenchment due to its poor financial position. 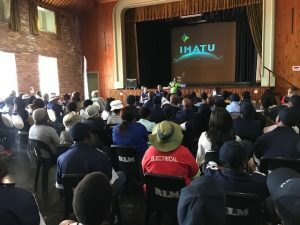 Despite claims by the Inkosi Langalibalele Municipality that they could not afford the annual salary increases, IMATU can confirm that their financial statements reflect R 131 688 000 surplus in 2017-18 financial year,” stated Botes. IMATU will vehemently oppose any threats to the conditions of service or job security of our members. Members will be kept updated of any developments in this regard. 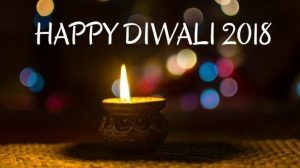 IMATU would like to wish our Hindu members a Happy Diwali and a prosperous New Year ahead! 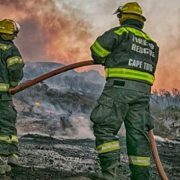 IMATU would like to extend a heartfelt thank you to all the fire fighters involved in fighting the fires raging in the Southern Cape. 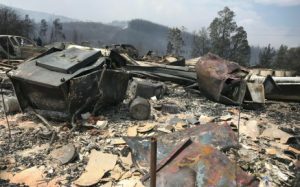 One blaze started in the Outeniqua mountains last week, moving towards George, while a separate fire broke out closer to Knynsa, where eight people tragically lost their lives. Our thoughts and prayers are with the families and loved ones of those who lost their lives and our brave fire fighters who risk their lives on daily basis to protect and rescue. 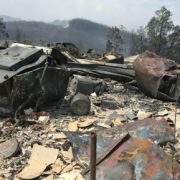 IMATU commends the efforts of the emergency services and hopes that these fires will be brought under control soon. 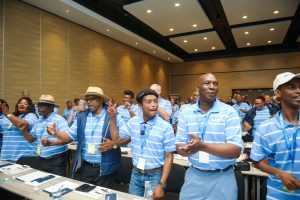 The Independent Municipal and Allied Trade Union (IMATU) has rejected a Facilitator’s Proposal relating to shift allowances for Fire and Rescue Services employees in the City of Cape Town. 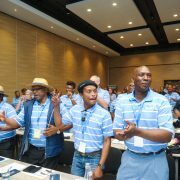 Negotiations between the City of Cape Town and organised labour, being conducted under the auspices of the South African Local Government Bargaining Council (SALGBC) deadlocked. Parties to the SALGBC are in dispute regarding payment for work performed in excess of the City of Cape Town’s normal working hours. “It is true that the current collective agreement makes provision for a monthly allowance of 22.8 % of an employee’s salary in lieu of the additional and excessive working hours they must work. It is also true that this allowance has not been adequately increased to account for years of inflationary increases. 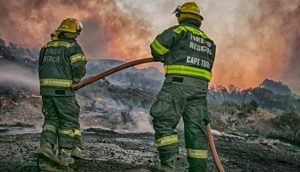 We all rely on our fire fighters to bravely protect and serve yet do not make their ability to provide for themselves and their families a priority,” stated Cape Town Metro Regional Manager, Etienne Bruwer. 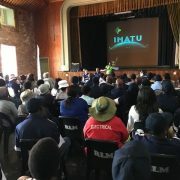 “IMATU has referred the matter to essential services arbitration as fire fighters and other related emergency services staff are classified as essential services and therefore precluded from protected strike action,” explained Bruwer. The matter is set down for conciliation on 30 October 2018. 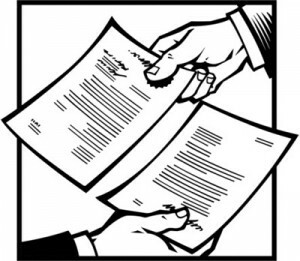 Should no settlement be reached through conciliation, the matter will proceed to formal arbitration. “While our legal representatives have been briefed, IMATU believes that the matter can still be settled through negotiation. We have been interacting with the Executive Mayor’s Office and believe that with strategic intervention, the plight of fire fighters can be adequately addressed,” concluded Bruwer. 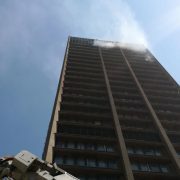 IMATU is deeply saddened to learn of the deaths of another two firefighters involved in fighting the fire at a government building in the Johannesburg CBD today. A total of 3 fire fighters have lost their lives in the line of duty and a number of others have been hospitalised. Our deepest sympathies go out to the families, friends and co-workers of the fire fighters who lost their lives in the line of duty. Our thoughts are with all of those still currently fighting the blaze. IMATU is closely monitoring the unfolding events and will be able to comment further once feedback has been received from our members on the ground. 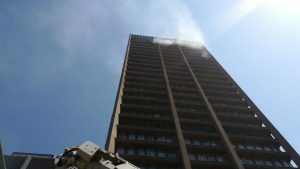 IMATU is gravely saddened by the news that a firefighter has fallen to his death while trying to extinguish a fire at a government building in the Johannesburg CBD. We understand some firefighters are trapped on the top floor while others are still trying to extinguish the fire. IMATU is currently reaching out to its members for more information and will continue to closely monitor the unfolding situation. Our deepest sympathies go out to the family, friends and co-workers of the firefighter who lost his life in the line of duty. Our thoughts are with all of those currently fighting the blaze and any individuals affected by today’s fire. Today is a stark reminder of the dangers faced by our emergency services personnel on a daily basis. We thanks them for their continued service. Continuous staff training and development is part of IMATU’s commitment to render excellent service to our members. This week Regional Managers and Labour Relations Officers will be attending training in evidence and trial advocacy for disciplinary hearings and trials. Former Judge and Senior Council Ismail Hussain will lead this three day course, equipping attendees with the skills to better analyse, evaluate and present evidence as well as cross examine witnesses. 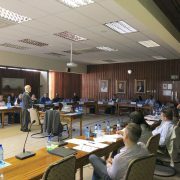 This training is endorsed by the Law Society of South Africa and will ensure IMATU staff are able to continue representing members in the same professional and knowledgeable way as before. 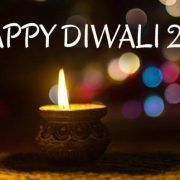 IMATU is working together for you. Our President, Mr Stanley Khoza, will be attending the Salary and Wage Collective Agreement Signing Ceremony today. The multi-year Agreement will be in effect from 1 July 2018 – 30 June 2021. The Signing Ceremony will be followed by a joint media briefing.